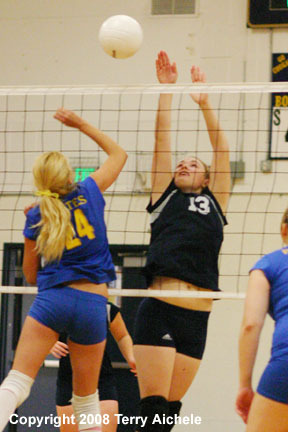 ECHO - Echo hosted Cascade Locks Saturday morning in volleyball action. 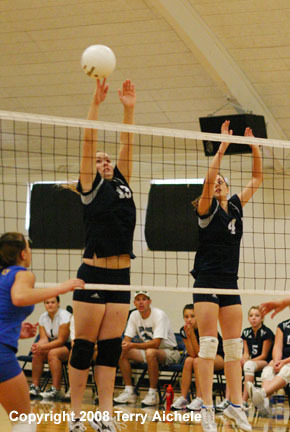 Echo won all three matches, 25-14, 25-10, and 25-17. Game 1 was close up to the 10-8 point. From that point Echo went on a 9 point run to 17-9. 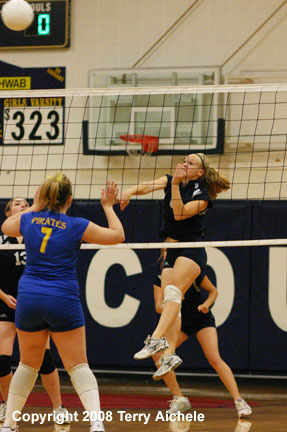 From that part of the game Echo played solidly to a 25-14 final. Game 2 saw Echo start with a 9-2 run. At the 14-8 point Echo strung together an eleven point run to 21-8. Echo ultimately won 25-10. Cascade Locks started out the third game very strongly with a 6-1 lead. But at that point Echo started scoring until they were tied at 7-7. From that point on Echo pulled away to a lead of as much as 8 points. That's how the game finally ended with Echo winning by eight, 25-17. LEFT - Echo's front line leap to attempt a block of a Cascade Lock shot. 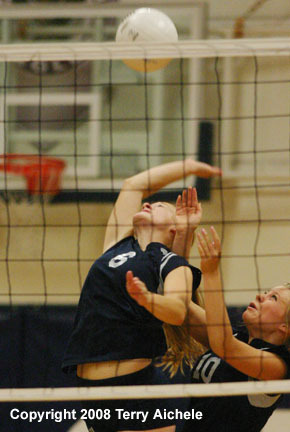 RIGHT - Echo's Elizabeth Ferge blasts a shot at Cascade Locks. LEFT - An Echo defender gets into position to block a Cascade Lock shot. 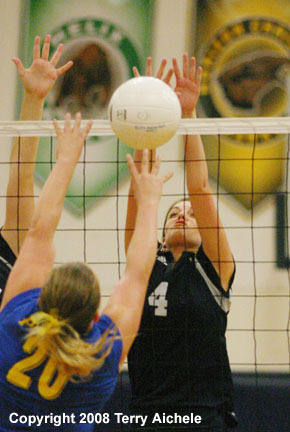 RIGHT - A Cascade Lock player tries for a spike against Echo during their game on Saturday. LEFT - Echo players attempt to block a Cascade Lock shot. 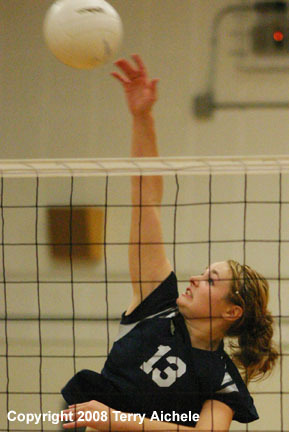 RIGHT - An Echo player spikes a shot during the match on Saturday. 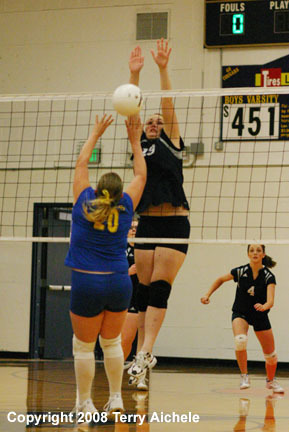 Elizabeth Ferge of Echo goes up for a spike during the Saturday game against Cascade Locks..